In this How-To, we will walk you through the LAMP install on your Fedora 22 Server. With the many changes of Fedora 22, a typical LAMP install is different than you may have seen in the past. Fedora 22 still uses Apache and MariaDB, PHP, although they are using slightly updated versions of each. A server with Fedora 22 installed. If you do not have a server, and you would like one, fire up a Fedora 22 server from Atlantic.Net. We are now able to start the installation for Apache. You can now verify that Apache is installed correctly by typing http:// and your IP or hostname on your browser. 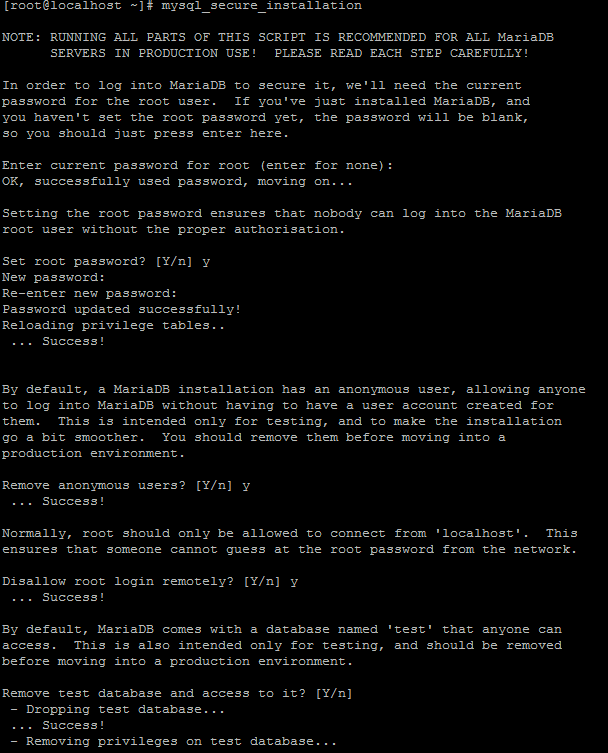 First, you will be prompted for the MariaDB root password. Since we just installed MariaDB and did not set a root password, you would just leave it blank and press Enter. You will then be asked if you would like to set the root password. Enter ‘Y’ for yes and then create a password of your choice. Restart the Apache HTTP service, so the changes take effect. Congratulations! You now have a server with a LAMP platform for your web environment. Thank you for following along and feel free to check back with us for further updates, or check out our guide on installing WordPress.